Everyone deserves a nice vacation every now and then, but if you’re like me you’d rather not have to deal with some of the headaches that can arise while you’re enjoying a short break from everyday life. These days one of the most common vacation headaches is having an expensive smart phone get stolen, lost or damaged while you’re splashing around in the surf or checking out the shops in your favorite resort town. Replacing a damaged smart phone is a big enough hassle in itself, but even worse is having to deal with the aftermath of losing one altogether or having it get stolen. If a thief gets his hands on your phone, he could also potentially gain access to many facets of your personal life, your financial accounts and even your very identity! That’s one of the many reasons why taking your smart phone with you when you go on vacation is very bad idea. Leaving your phone at home doesn’t mean you have to go without communicating or using the Internet, however. You can always just get yourself a cheap prepaid phone to use while you’re away. Depending on the brand and/or carrier, you can buy a dirt cheap prepaid cell phone paired with a card that comes with enough talk minutes, SMS texts and cellular data on it to last through even an extended vacation for as little as $30 or so. Of course we’re talking adding anywhere from $30-$60 per person to the total cost of your vacation, but you’ll be able to enjoy your stay without having to worry about jumping into the ocean with your expensive smart phone in your pocket or having someone steal it and use it to assume your identity (and possibly even ruin your entire financial life). Bottom line: Spending a few extra dollars on a prepaid phone can bring you peace of mind while you’re away on vacation. Just make sure you do your homework ahead of time to make sure your phone will work once you get to your destination. 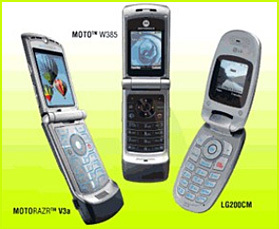 You can get an inexpensive prepaid phone at your local big box store or at Amazon. Bonus tip #1: This post discusses ten ways to fool burglars into thinking you’re always at home, even while you’re away on vacation. Bonus tip #2: Want to make sure you never miss one of my tips? Click here to join my Rick’s Tech Tips Facebook Group or here to join my Tech Tips group on LinkedIn.